If you’ve decided that you want to create a website, for whatever reason, there are certain ways to go about it. Whether you’re looking to create a personal website or create a website for your business or company, there are certain things you’ll need to consider. Regardless of website type be it regular website or blog, the considerations and the specific ways to go about it are the same. That is what we’re going to cover today. 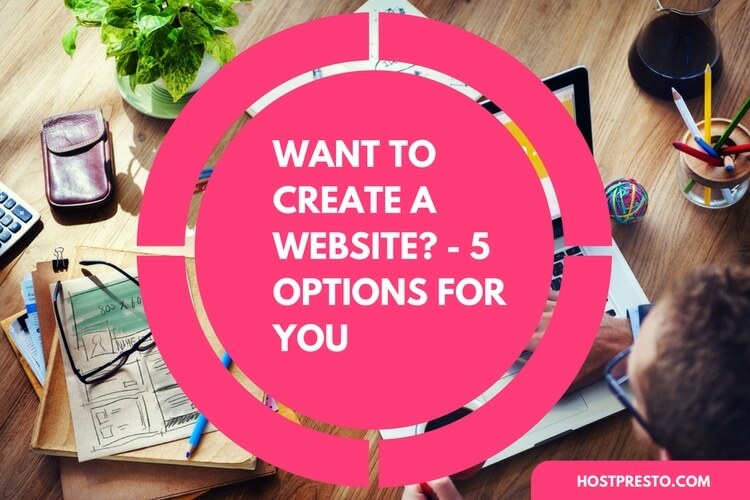 Ultimately you have 5 options when it comes to creating your first website. Some are free, some cost money and some take a look of time depending on your experience and skill level. But all are most certainly viable. Sure some would argue that these subjects could be expanded upon and there may be additional ways to create a “website” such as making pages on third party services like Facebook and so on but for now we’ll stick to the primary methods. As generic as it sounds, an online website builder is a tool which will allow you to drag and drop creative elements onto what is effectively a blank canvas and have those elements at the click of a button become a fully functioning website. You can see our website builder offering here. It will allow you to create your page by dragging pictures, text blocks and interactive elements such as forms onto a page all based around a pre-chosen design style. As far as website building goes, this is by far the easiest way to get started but it will limit your options as far as how far you can take it. If you’re just starting out and don’t want to be limited to the confines of a traditional website builder application I’d strongly advise to get yourself a domain name, some web hosting and install a common CMS such as Wordpress or Joomla. All of the website hosting plans we offer at HostPresto come with these applications and more via a one click install service which means you can be up and running in seconds. These content management systems make it extremely easy to add new content by way of posts and pages to your website and by using third party themes and plugins you can end up with a great looking website visually by way of premium Wordpress themes and also a fully interactive offering by making use of the thousands of plugins and modules at your disposal. 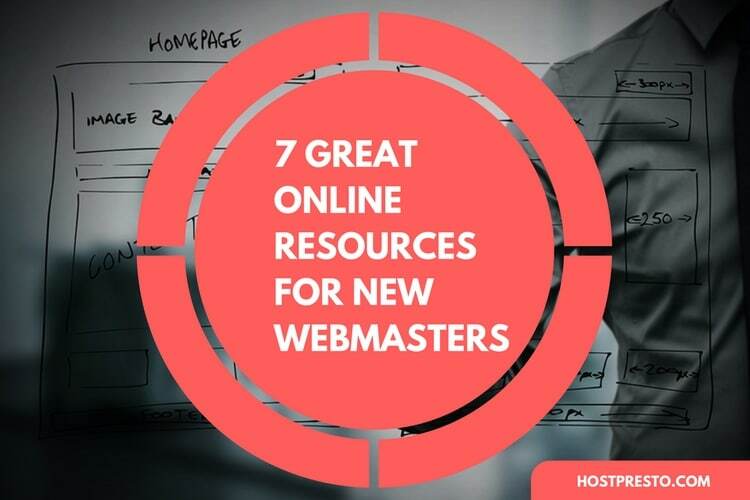 This one might seem a little bit more daunting but if you truly want to create the perfect website it might be wise to start from the ground up and learn to do every aspect yourself. Fortunately, it’s not like the old days where you had to visit PC World and find a book on HTML. These days there are countless tutorials out there which will teach you all about coding, frameworks and design in general from both a complete novice right through to expert level standpoints. The Internet offers a wealth of information on almost any subject so why not utilise it? You can create something relatively basic by simply downloading a framework like Bootstrap and copy and pasting code for common elements such as text areas and images. This is the route most business owners go down or those who have budget and want to invest in a commercial project of sorts. It’s obviously self explanatory but one thing I would say is be sure to shop around and get quotes from lots of different individuals and firms before hiring someone. There is no one size fits all approach to creating websites and when coupled with the sheer amount of people online with the ability to carry out the task it obviously leads to a lot of different price points. Comparing such quotes is a sure fire way to not only learn what you should be paying but also find the right person for the job. I am including this on the list as whilst it’s not a way to create a website it is ultimately a way to get a website and if you have budget available and you want to operate in a particular sector or niche than this could be a good way to go. A quick Google search will yield lots of websites who specialise in selling websites with the main one being Flippa.com. Using a site such as this you can find anything from freshly built “turnkey” websites right through to high end websites earning 6-figures a month. There is also anything and everything in between. Alternatively, if you’re aware of websites operating in the sector you wish to move into then don’t be afraid to drop the site owners an e-mail asking if they want to sell, you never know, you might get lucky. Particularly if you’ve managed to identify some what of a stagnant website. All of the above will allow you to create your first website and all come with a different degree of skill requirements and funding. As to which route you go down will depend on your time, budget and ultimately the matter of preference. There is no right or wrong way to go about it. All that is really important is the end product and all of the methods above will certainly yield that.